An increasingly health-conscious population all over the world is working out more than ever, and entrepreneurs who want to ride this rising tide have a diverse array of options to consider with this list of the 25 best gym and fitness franchises. Nearly 61 million Americans have a gym or health club membership, a number that has been growing steadily since 2012, and nearly half of them belong to a niche boutique or sport-specific facility such as the spinning, kickboxing, and barre workout studios that have been popping up everywhere. The specific amount a consumer pays for a membership depends on the chain, ranging from as little as $10 to as much as $200 or more per month, with an average monthly cost of just under $60. Collectively, those monthly membership fees add up, with the health club industry worldwide taking in more than $81 billion in revenues each year, nearly a third of which is generated in the U.S. alone. Entrepreneurs who want a slice of that growing pie will find a huge range of initial investment requirements. Getting started with a fitness franchise can cost as little as $5,000 or as much as $5 million. The good news, however, is that there is a fitness franchise opportunity to fit nearly any budget. And entrepreneurs in the fitness industry don’t have to worry about becoming obsolete due to the rise of online shopping and e-commerce. Orangetheory Fitness sets itself apart not so much by its facilities or access but by offering what it calls “the best one-hour workout in the country.” Its heart-rate monitored high-intensity interval training (HIIT) covers both cardio and strength exercises designed to keep your heart rate in a target zone that spikes metabolism, increases energy, and immediately burns 500-1,000 calories during the hour-long workout as well as more during the 36 hours following the workout (the “afterburn”). The desired result is the Orange Effect of more energy and visible toning. The workouts are offered at fixed times led by trainers. No-contract monthly membership fees include a set number of classes. This company currently ranks #48 on Entrepreneur’s Franchise 500 list. Founded in 2010 and franchising since that same year, the number of locations has continued its rapid rise to the current total of 1,000, of which 23 are company-owned and 115 are located outside the U.S. Planet Fitness established its niche as the low-cost gym for regular people, and their monthly membership fees are considered by many to be among the lowest to be found anywhere. Seen by many as a relief from high-pressure gyms where everyone already looks amazing and grunts like they’re in the middle of the biggest physical challenge of their lives, Planet Fitness offers members a “Judgement-Free Zone” for their workouts where the “lunk alarm” goes off when people exert themselves too loudly. Members also get to enjoy Pizza Mondays and Bagel Tuesdays, which some think is counterproductive to fitness, but many people love it. This company currently ranks #21 on Entrepreneur’s Franchise 500 list. 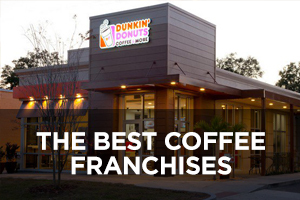 Founded in 1992 and franchising since 2003, the number of locations has continued to expand steadily to the current total of 1,608, of which 68 are company-owned and 34 are located outside the U.S. Anytime Fitness distinguishes itself from the competition with 24-hour keycard access at thousands of locations all over the world for maximum convenience, a free personalized Get Started Plan with each membership, and the Anytime Fitness App with goal-setting and more than 1,100 work-out plans to establish benchmarks and monitor progress. Locations include personal training, cardio equipment, and weights. Rather than live, scheduled classes, there are virtual, customized, on-demand classes held in special rooms outfitted with a large screen. Members can do a yoga, spinning, or cardio class anytime they want, all for a surprisingly small monthly membership fee. 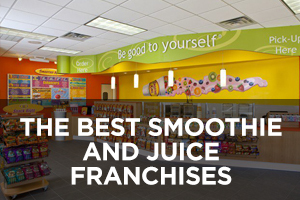 This company currently ranks #17 on Entrepreneur’s Franchise 500 list. Founded in 2001 and franchising since 2002, the number of locations has continued to steadily climb over the past 10 years to the current total of 4,081, of which 38 are company-owned and 1,645 are located outside the U.S.
CycleBar started out as one of the first independent indoor cycling or spinning studios and began franchising in 2015 after many years of perfecting their offering. Their unique approach includes three key ingredients: Great instructors (called CycleStars), killer music (the playlists are called Cycle Beats and can be downloaded online), and an intense environment that includes energy-enhancing video graphics and light shows, as well as rider-specific performance data right on the bike (CycleStats). That’s why the workout rooms at CycleBar are called CycleTheatres and feature professionally engineered lighting and sound equipment. Prices per class are reasonable, but could add up quickly. 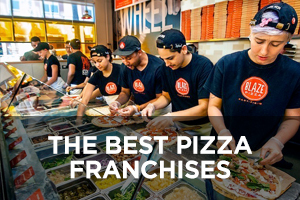 Founded in 2014 and franchising since 2015, the number of locations currently stands at 150, none of which are company-owned and 3 of which are located outside the U.S. Pure Barre is one of the biggest and longest-standing barre workout franchises in the boutique fitness studio niche. The instructor-led classes offer a total body workout utilizing the ballet barre to perform small, isometric movements to burn fat and sculpt muscles, thereby creating long, lean physiques. More than just a workout, Pure Barre becomes a lifestyle and a supportive community of women of all ages striving to make themselves and each other healthier and more engaged in life. More importantly, the company has carefully crafted every detail of the customer’s experience from start to finish. Few fitness franchises have achieved this level of thoughtfully, consistently executed customer experience. 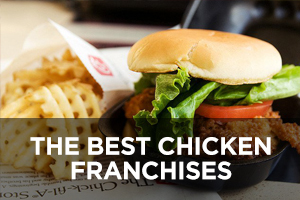 This company currently ranks #147 on Entrepreneur’s Franchise 500 list. Founded in 2001 and franchising since 2009, the number of locations currently stands at 500, of which 13 are company-owned and 3 are located outside the U.S.
9Round is a kickboxing-themed fitness program incorporating cardiovascular, functional, interval, and circuit training. Its signature workout is a 30-minute circuit with a new one beginning every three minutes, so customers don’t have to worry about getting there for a particular start-time. Learning the basic moves of kick-boxing, patrons punch and kick bags, not people, to get a full-body workout that changes daily. Trainers are always present to guide and motivate, and additional features such as online meal planning, videos, and the 9Round Pulse fitness belt help track progress to get the results customers can see. 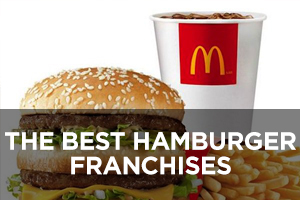 This company currently ranks #197 on Entrepreneur’s Franchise 500 list. 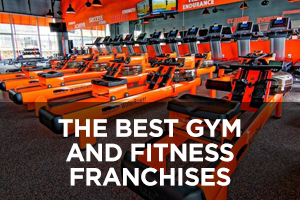 Founded in 2007 and franchising since 2009, the number of locations has expanded rapidly to the current total of 715, of which 7 are company-owned and 46 are located outside the U.S.
Retro Fitness counts itself among the growing number of “high-value, low-cost” fitness franchises. The niche it has created is cardio equipment with LCD television screens, 3 kinds of circuit training equipment, and free weights along with movie theaters that play retro movies and music. It also takes pride in its state-of-the-art equipment and 24-hour access to its facilities. Additional advantages include a relatively low monthly membership fee but lots of additional revenue stream options such as personal training, tanning, group fitness, Retro Blends smoothie bars, pro shops, chiropractic services, and childcare as well. This company currently ranks #290 on Entrepreneur’s Franchise 500 list. 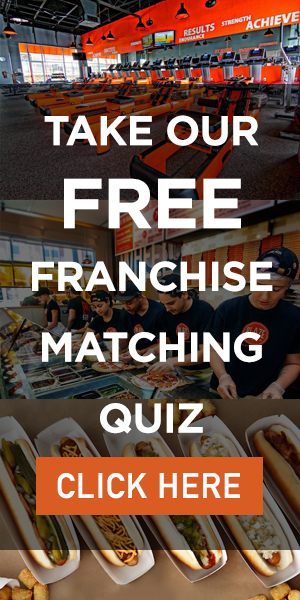 Founded in 2002 and franchising since 2006, the number of locations has increased slightly to the current total of 146, none of which are company-owned and all of which are located in the U.S. Snap Fitness founder Peter Taunton had the idea that a lot of people just want a basic space to do their workouts without all the fuss of big gyms. He envisioned something without all the amenities and bells and whistles, just offering easy access to basic equipment so people can come in, do their workouts, and leave. Lots of people seem to resonate with this approach and its 24/7 access with the swipe of a keycard and without signing long-term contracts. It also offers the MYZONE fitness belt for real-time tracking of heart rate and calories burned during workouts. 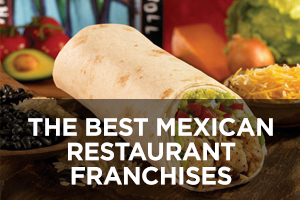 This company currently ranks #348 on Entrepreneur’s Franchise 500 list. Founded in 2003 and franchising since 2004, the number of locations has declined slightly to the current total of 1,395, of which 44 are company-owned and 466 are located outside the U.S. TITLE Boxing Club is a fitness chain featuring full-body workouts through boxing and/or kickboxing. Its signature workout is the Power Hour that utilizes the fundamentals of a boxer’s workout to strengthen and tone the arms, legs, back, and core while boosting customer confidence. The high-intensity interval training (HIIT) workouts are designed to sculpt bodies and burn calories. Trainers lead customers through explosive boxing rounds to deliver jab, cross, hook, and uppercut combinations, working their entire body on 100-pound heavy bags. Four different class lengths are offered in each discipline: 30-minute, 45-minute, 60-minute, and 75-minute. Founded in 2008 and franchising since 2009, the number of locations has increased to the current total of 173, of which three are company-owned and two are located outside the U.S.
iLoveKickboxing.com has a fitness concept featuring “a bag-hitting, adrenaline-flowing workout that ANYONE can do – no matter your age or fitness level.” This was founder Michael Parrella’s solution to the biggest problem most people have with fitness — boring workouts. Customers put on real gloves and learn how to fight like pros, without ever hitting anyone. People who enjoy combat sports can’t help but notice the lean strong physiques of professional fighters, which is exactly what customers are aiming for with these HIIT workouts. The chain prides itself on forming a supportive community with accountability for reaching fitness goals. 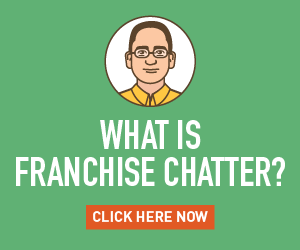 This company currently ranks #425 on Entrepreneur’s Franchise 500 list. 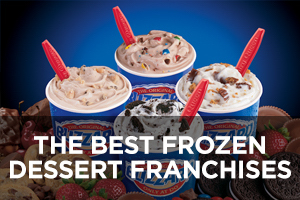 Founded in 2009 and franchising since 2012, the number of locations currently stands at 264, of which five are company-owned and 16 are located outside the U.S. Workout Anytime 24/7 is another entry in the convenient, low-cost, 24-hour access fitness niche. As the chain puts it: “Bottom line, the key to losing weight, building strength and increasing energy is to find as little as 20 minutes in your daily schedule. Workout Anytime makes it easy.” The difference from other low-cost chains is their focus on top-notch fitness equipment, which is sourced from Matrix Fitness, an innovative leader in commercial fitness manufacturing with a focus on superior industrial design, innovative ergonomics, and high-end tubular construction. It’s a value-priced club but offers what it calls the “Rolls Royce” of equipment. 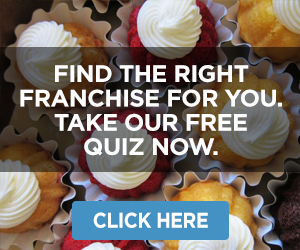 This company currently ranks #394 on Entrepreneur’s Franchise 500 list. Founded in 1999 and franchising since 2005, the number of locations has climbed steadily to the current total of 157, of which only one is company-owned and all of which are located in the U.S.
Crunch Fitness sets itself apart with innovative and edgy offerings such as Hip-Hop Aerobics, Co-Ed Action Wrestling, and Cyked Yoga Cycling. It offers a No Judgments philosophy that “…means room for everyone, regardless of shape, size, age, race, gender or fitness level.” Their approach is to fuse fitness and entertainment in order to make serious exercise fun. It offers a variety of membership options with no long-term commitments. Crunch is constantly looking for the next workout that will “wow” its customers, which means they’re always trying new things and experimenting with new concepts that pack a punch and keep people highly engaged. 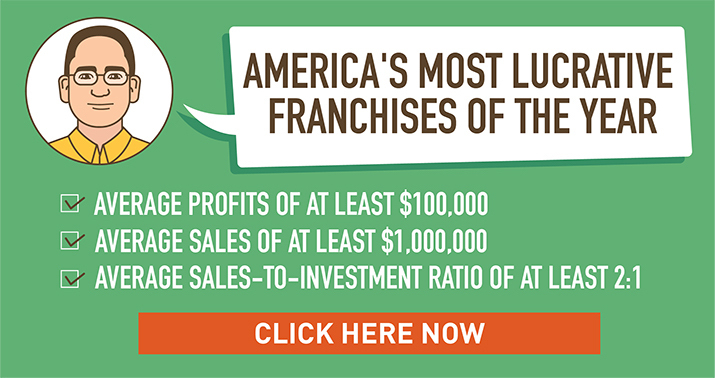 This company currently ranks #216 on Entrepreneur’s Franchise 500 list. Founded in 2010 and franchising since that same year, the number of locations has continued to climb to the current total of 239, of which 26 are company-owned and 40 are located outside the U.S.
Blink Fitness is a recent entry into the fitness industry that seeks to distance itself from both extremes of the spectrum — luxury clubs and bare-bones gyms — with an offering that’s somewhere in-between and focuses on “Mood Above Muscle,” meaning fitness should be more about how you feel than how you look. Its value proposition is made up of five elements, including Mood Lifters (staff are refreshingly respectful and enthusiastic), Designed with Mood in Mind (facilities are spacious and well-lit), Color Me Happy (facilities are painted in mood-lifting colors), Everyone Cleans (everyone pitches in to make sure the facilities are clean), and Music Matters (carefully crafted playlists help boost the mood and the workout). Founded in 2011 and franchising since 2015, the number of locations currently stands at 70, all but one of which are company-owned. Gold’s Gym has longevity on its side, having been founded back in the 1960s. It is a full-service gym offering cardio training equipment, resistance training equipment, group fitness, personal training and locker room services, a kids’ club, and a pro shop with clothing, accessories, drinks, bars, supplements, nutritional products, and other items. Fitness classes span the gamut from kickboxing to yoga to spinning and more. Fitness tools include Workout Builder (personalized workout plans formulated to each specific body’s needs), a BMI Calculator, Muscle Mouseover (to see the best exercise for each body part), and more. Corporate wellness programs are also offered. Founded in 1965 and franchising since 1980, the number of locations has declined slightly in recent years to the current total of 703, of which 150 are company-owned and 361 are located outside the U.S.
Club Pilates distinguishes itself as a fitness concept that remains true to Joseph Pilates’s original Reformer-based Contrology Method while at the same time modernizing it with group practice and expanded state-of-the-art equipment including TRX, Barre, Exo-Chair, Bosu ball, mats, rollers, and more. There are four different levels of classes that can be mixed and matched to meet each customer’s workout needs. There are also four different membership options based on the number of classes: 4-pack, 8-pack, unlimited, and annual. Personal training is also available. The chain’s certified instructors perform hundreds of hours of training to meet rigorous teacher standards. 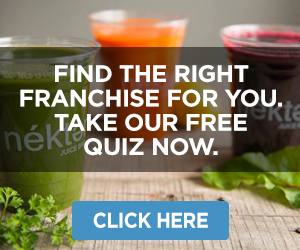 This company currently ranks #237 on Entrepreneur’s Franchise 500 list. Founded in 2007 and franchising since 2012, the number of locations has expanded rapidly to the current total of 367, none of which are company-owned and 3 of which are located outside the U.S.
Jazzercise has rebranded itself as “…a pulse-pounding, beat-pumping fitness program that gets you results…fast. It’s a calorie-torching, hip-swiveling dance party with a hot playlist to distract you from the burn.” This dance-party approach to fitness started all the way back in the 1980s but has evolved with the times over its 45-year history. It claims that its high-intensity workouts combining cardio, strength, Pilates, hip hop, yoga, and kickboxing can burn up to 800 calories during a variety of 60-minute instructor-led classes. Jazzercise customers stick with the program for an average of 7 years, which is impressive. This company currently ranks #63 on Entrepreneur’s Franchise 500 list. 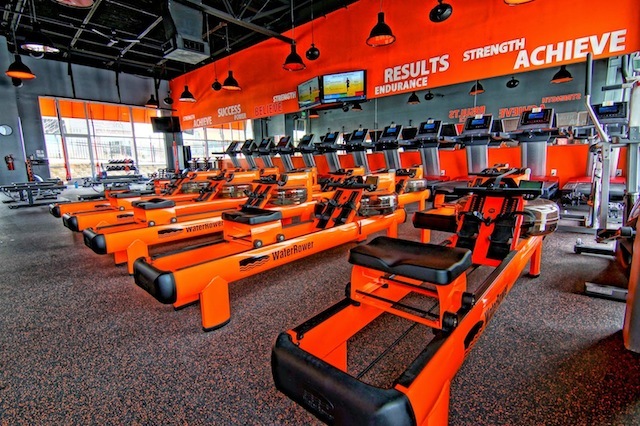 Founded in 1969 and franchising since 1982, the number of locations has continued to expand to the current total of 8,932, of which only two are company-owned and 1,977 are located outside the U.S.
Iron Tribe Fitness gets its name from where it started — Birmingham, Alabama, whose nickname is Iron City. The fitness chain’s innovation is blending one-on-one coaching with group fitness. Each 45-minute workout includes two highly-trained coaches, and class sizes are limited to a maximum of 20 participants. The workouts utilize HIIT-style training methods that work with all fitness levels and all ages. The coaches teach the correct way to execute each movement so participants quickly learn good form for maximum benefits. Each day brings a new custom workout to keep things fresh. Founded in 2010 and franchising since 2012, the number of locations has declined slightly to the current total of 38, of which eight are company-owned and all of which are located in the U.S.
UFC Gym offers a huge variety of combat sports for people of all ages, with more of a focus on kids and youth than is found at most gyms. The breadth of potential offerings can include Brazilian Jiu-Jitsu, Muay Thai, Judo, boxing, kickboxing, and other mixed disciplines. Customers who are interested can even opt to train for actual fight competitions. The family Daily Ultimate Training (DUT) classes are for kids and parents to train in martial arts and get fit together as a team. Locations also feature plenty of equipment for regular cardiovascular, strength training, and functional workouts, including state-of-the-art treadmills, elliptical trainers, and bikes from leading brands. 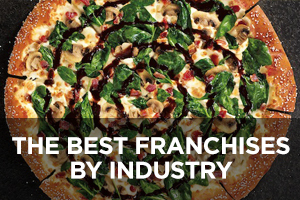 This company currently ranks #397 on Entrepreneur’s Franchise 500 list. Founded in 1992 and franchising since 2004, the number of locations has increased only slightly to the current total of 133, of which 17 are company-owned and 30 are located outside the U.S.
GymGuyz offers the unique fitness innovation of in-home mobile personal training. The initial visit is free and the trainer makes a full assessment of a person’s body, fitness level, and nutritional practices. Reassessments take place every fifteen weeks for tracking progress towards goals. Pricing for each one-hour session varies by location. Offerings include weight loss, body sculpting, bodybuilding, weight training, therapeutic athletic/stretching, strength training, senior fitness, obstacle course training, kickboxing, group training, corporate fitness, post- and pre-natal exercise, pool workouts, pre-teen and teen fitness training, cardio fitness, professional sports conditioning, nutrition counseling, deep tissue massage, Swedish massage, and sports massage therapy. This company currently ranks #470 on Entrepreneur’s Franchise 500 list. Founded in 2008 and franchising since 2013, the number of locations has grown rapidly to the current total of 166, of which four are company-owned and 17 are located outside the U.S.
Fitwall is distinguished by its Fitwall apparatus, a unique piece of equipment that allows standard bodyweight exercises to be performed in a rigorous vertical training program in the chain’s tech-savvy studios. Fitwall makes all parts of the body work together as a unit to create stronger, sleeker, more functional bodies. The workout challenges the human body in more intelligent ways than traditional fitness techniques, blending strength, cardio, and flexibility training, all guided by expert coaches in 40-minute group sessions that also include floor-based exercises and resistance bands for comprehensive workouts. Private and semi-private personal training options are also available. Founded in 2013 and franchising since 2014, the number of locations currently stands at six, two of which are company-owned. Get In Shape for Women is a small group personal training concept aimed at total body transformation for women through a four-component system made up of weight training, cardio, nutrition, and accountability with a focus on weight loss. Members attend regular training sessions three times a week for one-hour workouts. Because the emphasis is on individual coaching attention from a personal trainer, class size is limited to a maximum of four people, and a studio will only work with a total of 150 clients at any time. To be accepted, prospective members must exhibit a high level of commitment. Founded in 2006 and franchising since 2007, the number of locations has declined in recent years from a high of 102 in 2012 to the current total of 43, four of which are company-owned and all of which are located in the U.S.
Koko FitClub bills itself as the “alternative to mainstream fitness.” It combines technology with individualized coaching to customize workouts and guide customers to success. The 3-step Koko Smartraining System builds a solid foundation of fitness habits over the course of a few weeks, builds concentration on fitness goals with customized strength and cardio conditioning plus personal nutrition, and achieves transformation by reshaping the body with a sustainable training program to burn fat, stay strong, and build lean muscle. The chain utilizes technology for digital coaching and the MyKokoFitClub private online fitness account to track results. Founded in 2004 and franchising since 2008, the number of locations has declined in recent years from a high of 128 in 2013 to the current total of 83, none of which are company-owned and one of which is located outside the U.S.
Fit4Mom is a mom-focused fitness franchise that offers Stroller Strides for moms to get a full-body workout with their babe(s) in tow; the Body Back results-based workout designed for moms who are ready to take their fitness and vitality to the next level; and its innovative FIT4BABY program designed for pregnant women to strengthen the body for all the changes it will experience during pregnancy. The chain’s Our Village effort works to create and maintain a supportive community for mom’s and mothers-to-be who want to get fit and stay that way. Founded in 2001 and franchising since 2005, the number of locations currently stands at 298, only one of which is company-owned and all of which are located in the U.S.
Baby Boot Camp got its start when Kristen Horler had her first child and couldn’t find an effective workout that didn’t require hiring a personal trainer and a babysitter. Her concept balances the fitness needs of new moms with the desire to spend time with their baby. Offerings include Stroller Fitness, a 60-minute class combining cardio, strength, and core for a total body workout with baby in the stroller; Birth Recovery for new moms to get back in shape during the first nine weeks of motherhood with movement, nutrition guidance, and emotional support; Restore the Core – a mat-based class to help restore a mom’s core by incorporating the Karna Ball, a functional exercise product designed to support the pelvic core neuromuscular system. 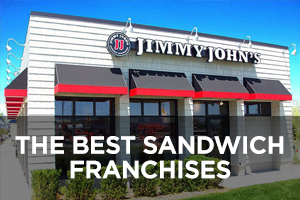 Founded in 2001 and franchising since 2005, the number of locations has declined in recent years from a high of 144 in 2012 to the current total of 85, only one of which is company-owned and all of which are located in the U.S. The Gravity Vault (formerly Rock Climbing Franchising) is an indoor rock-climbing wall fitness concept in an environment that welcomes everyone — young and old, big and small, novice and expert. The chain wants every person who walks through its doors to believe that “new heights can always be reached, in all aspects of life.” Founded by Lucas Kovalcik and Tim Walsh in Upper Saddle River, NJ, the pair spent a number of years honing their model before opening franchise locations in NJ, PA, and NY. Founded in 2005 and franchising since 2012, the number of locations currently stands at four, two of which are company-owned. Opening an gym , so wanted to take up franchisee model.